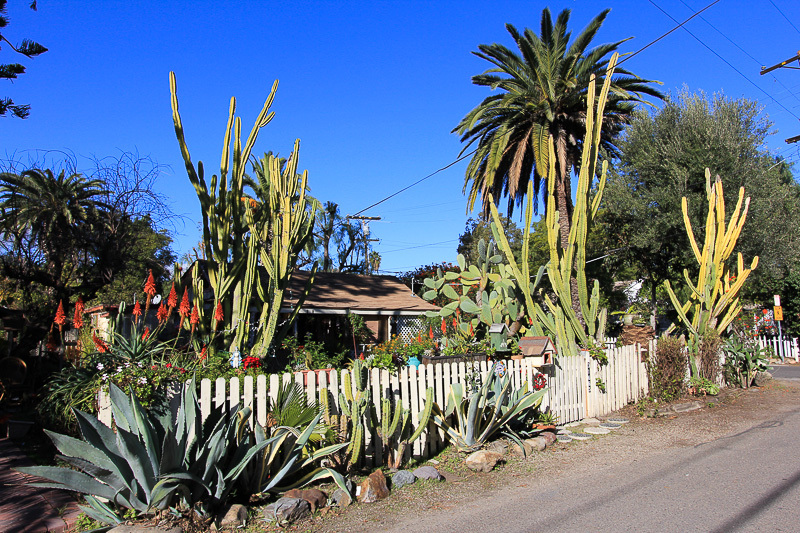 December 29, 2014 - Today's adventure brought us to San Juan Capistrano, not to see the mission, but to see the Los Rios Historic District. 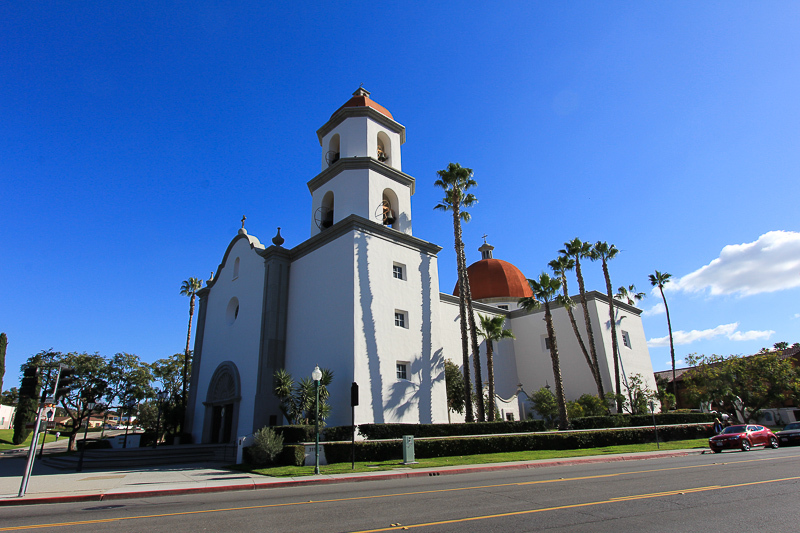 Before entering the district, we did stop by the Mission Basilica, which we hadn't seen on our first trip here in 2009 to see the old Mission San Juan Capistrano. 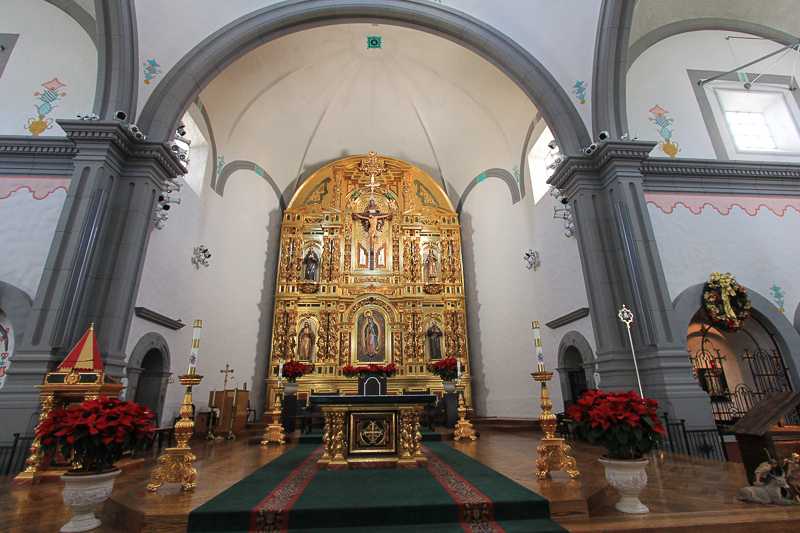 This church is a copy of the original stone church that was destroyed by an earthquake in 1812. 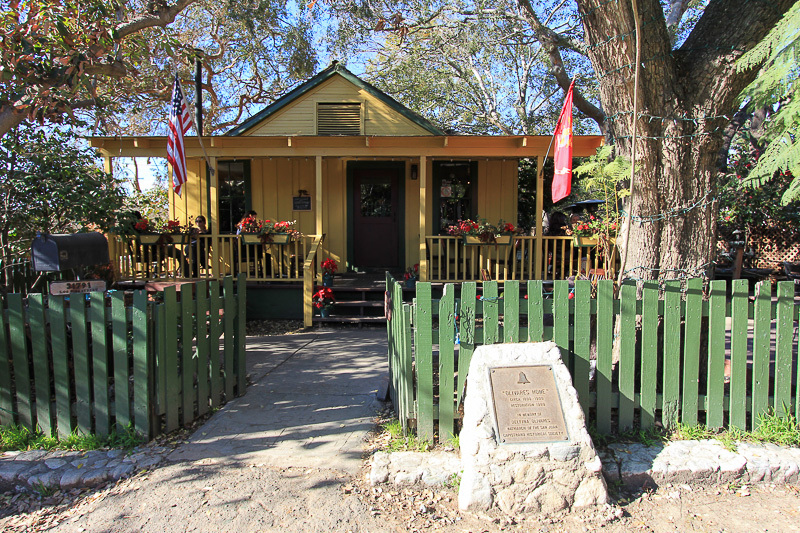 The historic district begins right next to the Capistrano Depot, built in 1894 for the Santa Fe Railroad. 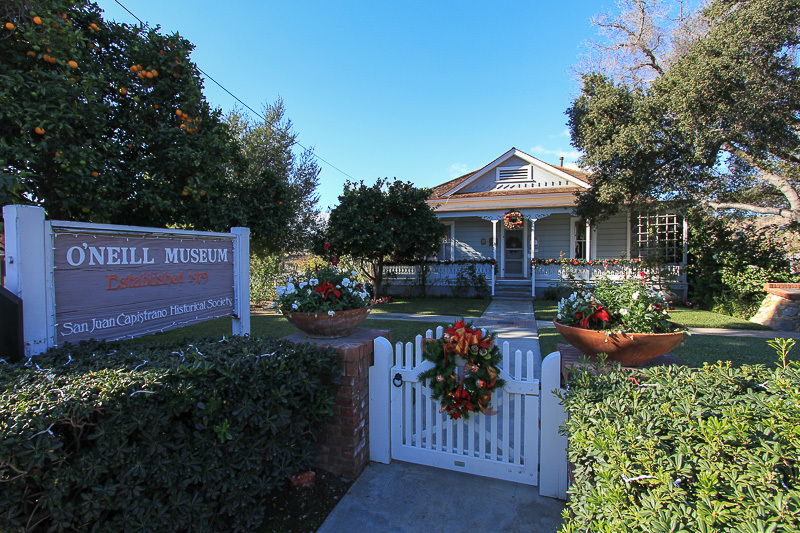 The Los Rios Historic District includes 31 historic structures dating from the late eighteenth century to the twentieth century and has been continuously occupied since the founding of Mission San Juan Capistrano in 1776. 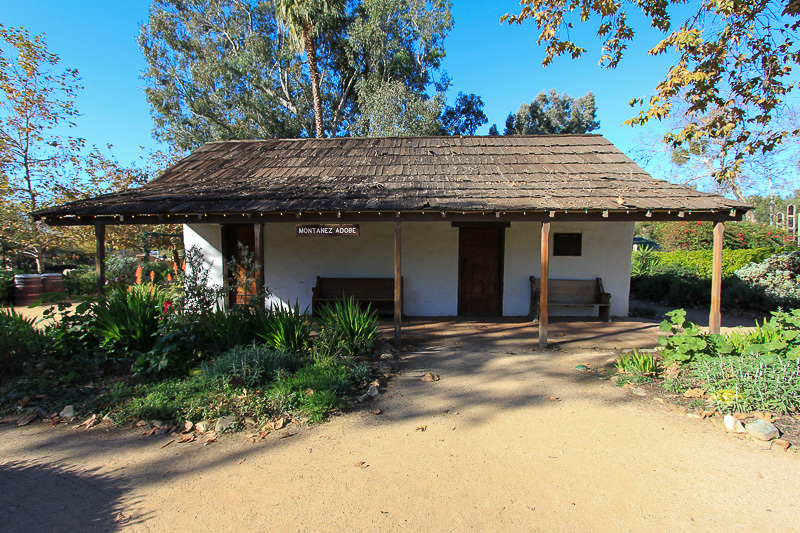 Three adobe homes in the district date from the 1790's. 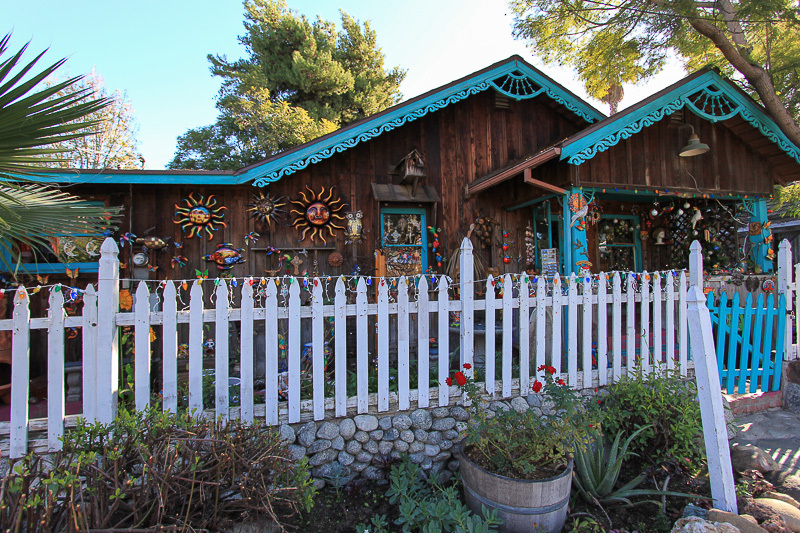 It's an eclectic neighborhood, with many of the original homes now converted to business properties. 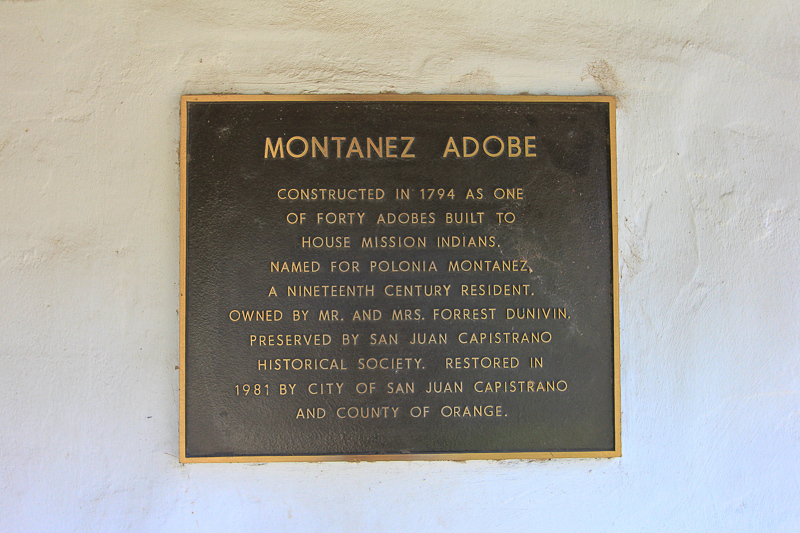 There are three adobe houses on Camino Capistrano, dating from 1778 to 1840. 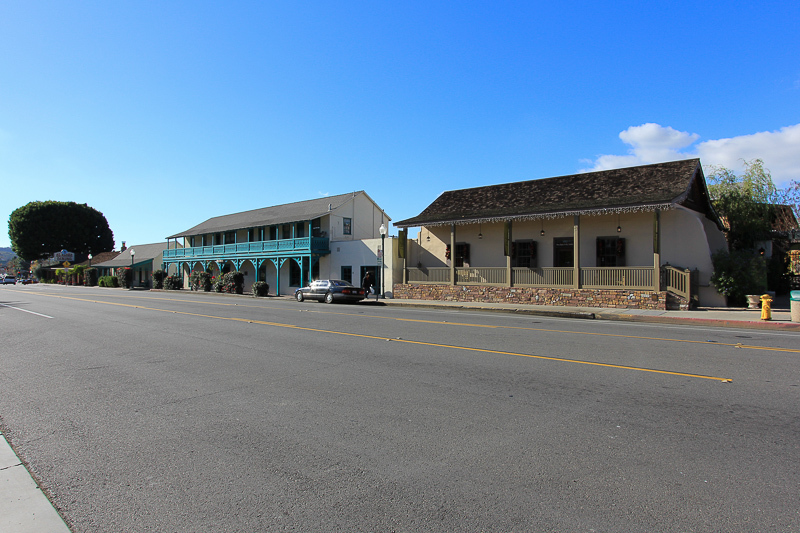 One has been converted to a restaurant and the other two are private residences. 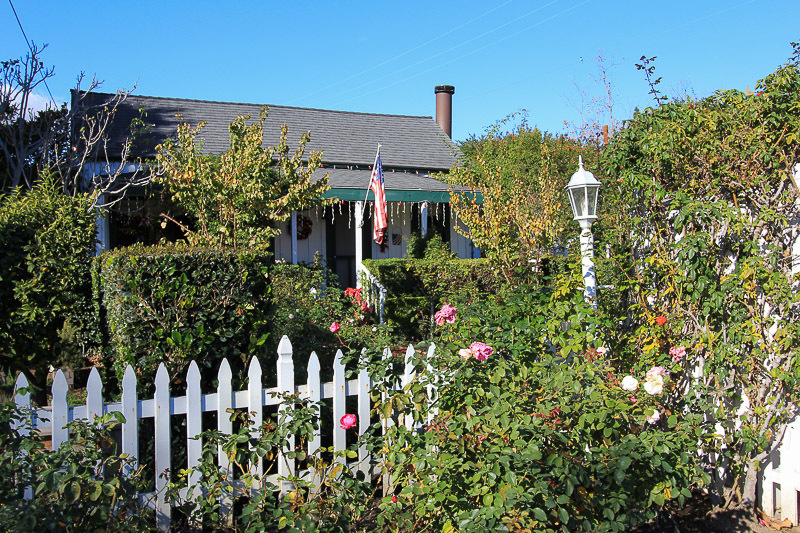 Walking around the district made us hungry and we headed over to the Cedar Creek Inn, which is on land owned by the Mission. Everything on the menu sounded so good we had a very hard time deciding what to order, so we decided to share two entrees. 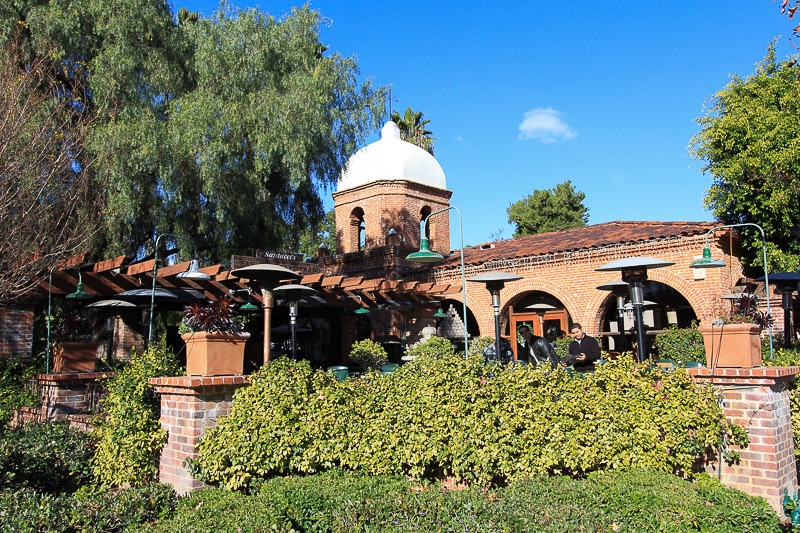 First we had their fish and chips, which was light and crispy, but, what made it special was their jalapeño tartar sauce. The second dish was irresistible, a "Strawberry-Turkey-Brie Sandwich." It was sliced, smoked turkey, brie cheese, fresh basil and strawberries with red pepper jelly on grilled sourdough bread, served with a house salad that included apples, dried cranberries, walnuts and crumbled blue cheese. And, if that wasn't enough, for dessert we shared their "Chocolate Ganache Torte," with a crushed pecan crust, served on a caramel crème sauce. Enough said, the food here is extraordinary!